If you have spent any time in older cemeteries you probably saw a number of gravestones in the shape of a tree stump. If you wondered where they came from, here is the story. In 1890 Joseph Cullen Root founded Woodmen of the World, a fraternal benefit organization, the purpose of which was to make life insurance affordable to everyone. 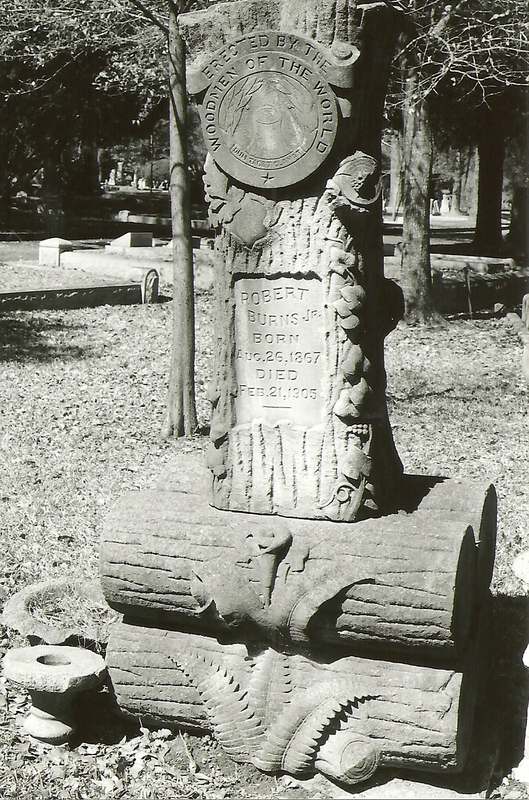 From 1890 until 1900 the policy included a tombstone. For adults the stones were made to look like tree stumps and came in a variety of styles and heights. For children a stack of three logs was typical. Members could select from a variety of headstones offered by the Organization. Plans would be sent to a stonemason near the cemetery where the Woodman was to be buried. 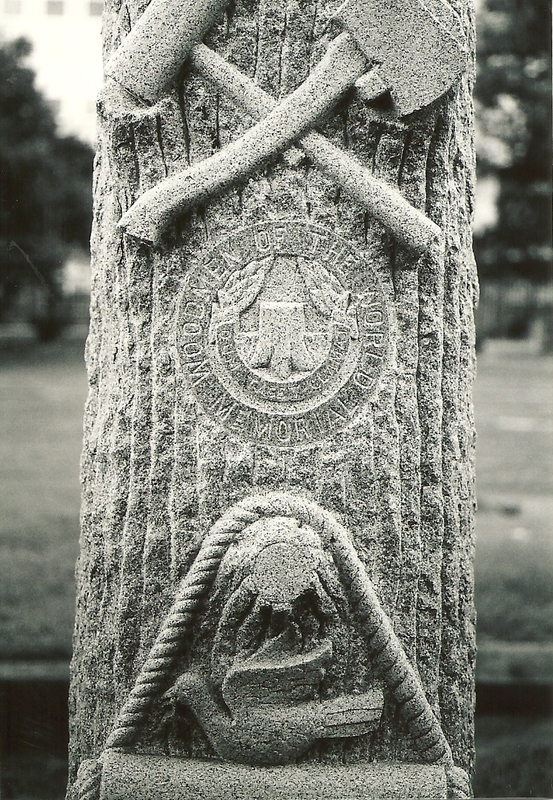 The stump was decorated with a variety of symbols of WOW including axes,mauls (a heavy wooden headed hammer used to drive wedges when splitting wood) and other woodworking instruments. Often you may see a dove of peace with an olive branch. The WOW motto, Dum Tacet Clamet (“Though silent he speaks”), on a round medallion is used quite often. 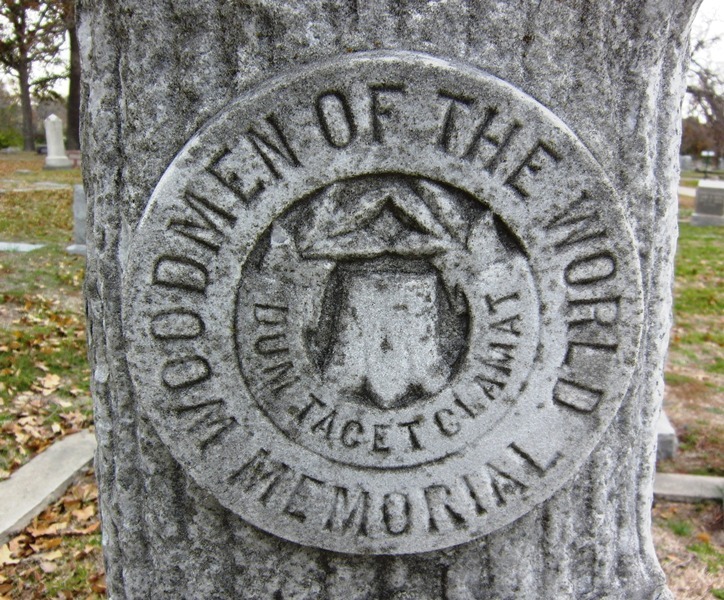 Sometimes the phrase “Here Rests a Woodman of the World” is carved somewhere on the stump. During the 1890s the price of the tombstones increased enough that from 1900 until 1920 members had to buy a $100 rider on their life insurance policy to receive a tombstone. Unfortunately, production costs continued rising and the wonderfully unique tombstones were discontinued in the 1920s. However, Woodmen of the World continued to do well. Membership reached 88,000 by 1898 and 750,000 in 1915. Of interest to Texans is that the organization donated $13,000 to victims of the Great Galveston Storm of 1900. By 1923 they were operating their own radio station, WOAW, out of their Omaha headquarters. The organization still exists today. Woodmen of the World have been a great success story. Between 1890 and 1898 membership grew to 88,000 and hit 750,000 by 1915.